The Most Treasured Gifts In The Universe Are Here! 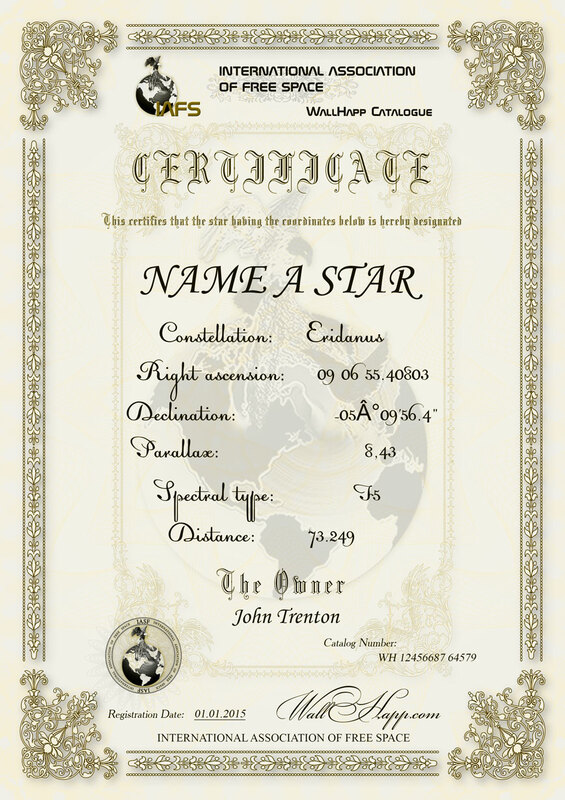 Naming a star for someone special and give them the gift of a lifetime. This is a great way to give them a gift that is out of this world, that they can enjoy for their entire lifetime and beyond! So why not give them something special and name a star after them and join the millions of people that already have a star named after them. Simply choose the name of the star and we take care of the rest. We also ship free worldwide so you can name a star anywhere. Everyone loves having a star named after them! Whatever the occasion, naming a star for someone is the most imaginative way to show you care. See how impressed and appreciative that special someone will be when he or she receives such an unusual and creative gift from you. Using planetarium software you can find and see your star on your own computer. Zoom in and out. See it's constellation and all the adjacent stars. Every star in the sky falls into one of 88 different areas known as constellations, many of them depicting characters or creatures from Greek mythology. Other constellations depict scientific or technical instruments or exotic animals. You can choose a specific constellation for your star to appear in, or if you prefer, you can leave it to us to decide. For a full description of all 88 constellations and their meanings, please click on the link at the top of this page. Can someone else name the same star as me? 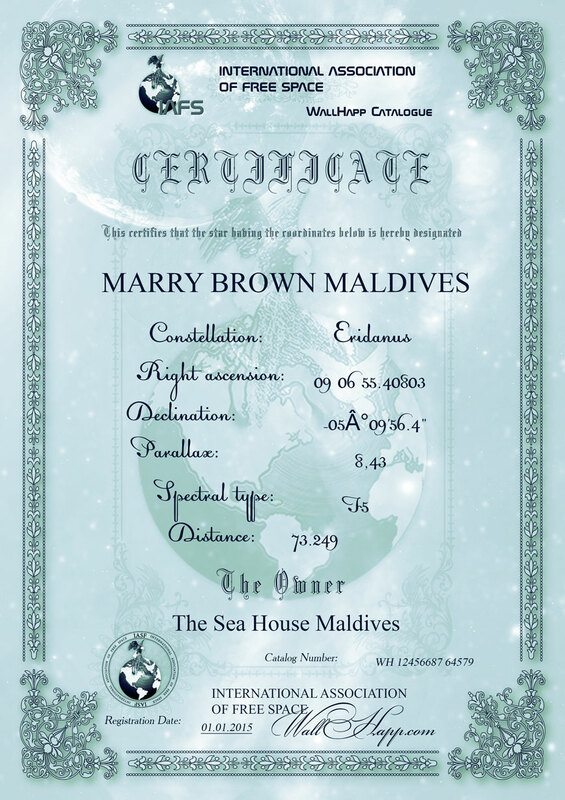 We guarantee that each star is named only once in our register. 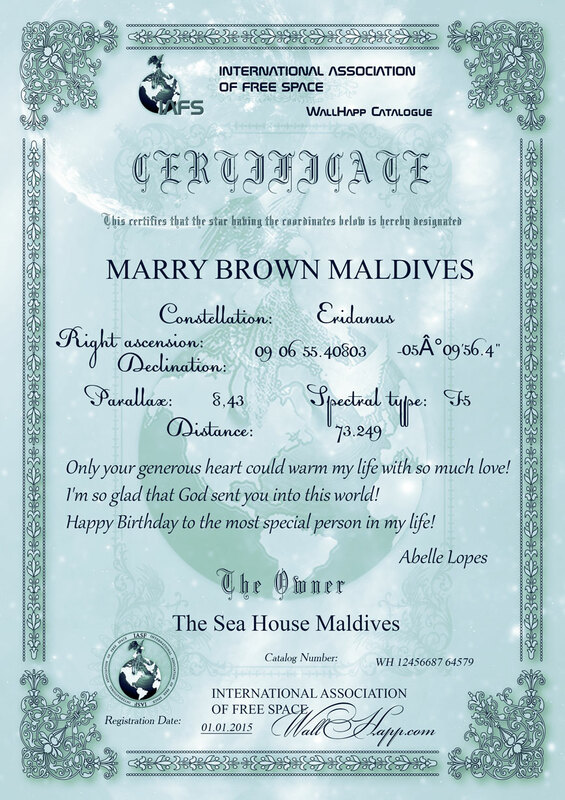 Name a Star for someone special and give them a unique, personalised gift that will shine forever! If someone you know deserves a place in history, then you've already taken the first step towards giving him or her the present of a lifetime. At WallHapp Catalogue, we're offering you the opportunity to buy a star name for that special person in your life. From just $30.00, you can choose a name for your star, in a constellation of your choice, giving someone special a unique novelty gift that will shine forever!  In the context of star naming, it is generally understood that a private person is naming a star. This name can be either an invented name, such as “My Sweet and Tender Beast”, or a real name, for example “Diana Chiva” or "Philip Chen". In general, any name is possible. 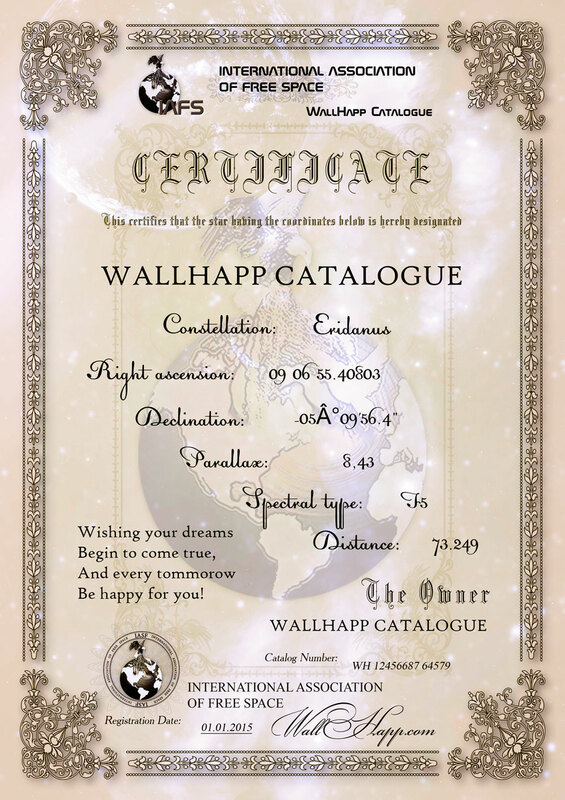 All the star namings we process are recorded in the globally recognised Wallhapp Catalogue. A star naming is recorded in the registry for an unlimited period. That means that the registration is valid forever and the star will bear your name for a lifetime. 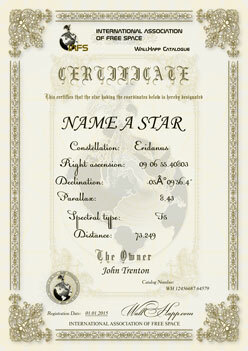 Name a Star for a special occasion! Naming a star is an ideal gift for all occasions: anniversaries, baptisms, birthdays, Chanukah, Christenings, Christmas, Easter, Father's Day, Mother's Day, Hanukkah, Passover, Valentine's Day, as a Wedding Gift...or simply to show you care. We pride ourselves on offering a fast, professional service and delivering a high-quality product that brings happiness to many people. Name a Star! The Most Treasured Gifts In The Universe Are Here!